Vibe Thursday is created and curated by label co-owner, Brian Boncher. He and Alex Peace have decided to showcase label talent for an extended party which kicks-off at 7PM. 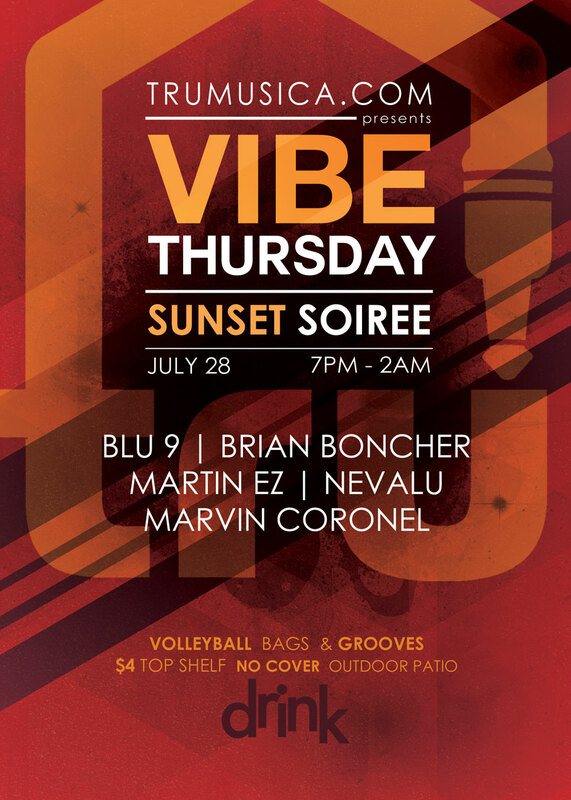 Much like the concept of Mambo’s Cafe in Ibiza, the Sunset will be the spectacle with the soundtrack provided by Tru Musica artists: Blu 9, Brian Boncher, Martin EZ, Nevalu & Marvin Coronel taking us till 2AM. Join us for a night of Volleyball, Bags, Drinks and Grooves.